Residing in a senior living community or assisted living doesn't mean that you stay close to home and never leave. In fact, getting out and about can be a vital part of your health and well-being. One amazing way to improve your life while helping others is to volunteer – especially around the holidays. Not sure how to get involved? Read on. Thanksgiving and Christmas fall during the colder months, times when living outside is especially dangerous and difficult. You can assist homeless people by helping prepare and serve meals at a soup kitchen or collecting donated food and hygiene items. Talk with your assisted living community to learn if they may be willing to house donation bins or even spread the word about your cause to other residents and their families. You may assemble a group of other seniors to volunteer with you – the more the merrier and the bigger the difference you'll make in others lives. If you are Christian, this time of year is especially focused on giving back to others. Many churches provide attendees with ways to do so. Some host toy drives for underprivileged kids. Others focus on service-oriented tasks, like helping a neighborhood with shoveling snow or cleaning up litter. You may volunteer with a group of other church-goers or provide help in your area as a family or individual. Don't fret about mobility issues – there are plenty of opportunities to volunteer regardless of your physical abilities. Foster grandparents help kids and teens with homework, reading and overall support. Children greatly benefit from having mentors, and the relationship is truly mutual. Not everyone has grandparents, so seniors can become surrogates for this important relationship by joining the foster grandparents program through the Corporation for National and Community Service. This volunteer position provides assistance by spending time with young children and teens. You can help younger ones learn to read, offer homework help and just be there to listen and talk. The children don't just gain a grandparent – you earn a grandchild, too. This is especially important during the holidays when many families are saddened about the lack or loss of senior relatives. Many assisted living, independent living and memory care communities appreciate the help of willing residents. Speak with your residence staff to learn how you can volunteer this season. You may head up or join a decorating committee to deck the halls and spread cheer. Or, perhaps you'd love to photograph the family open house for Thanksgiving. There are also more personal ways to help out, like by spending time with other residents who don't have loved ones to visit during the holidays. 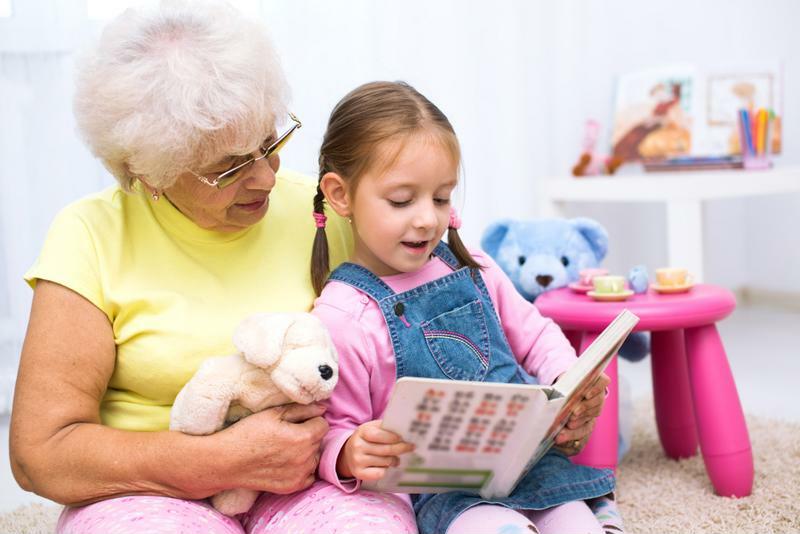 You could even be a part of setting up a reading group with a local school or church to partner seniors with elementary school kids to practice reading skills. There are so many ways to give back this season. You're sure to find one or two that tug at your heartstrings and bring a smile to your face and those you're helping.